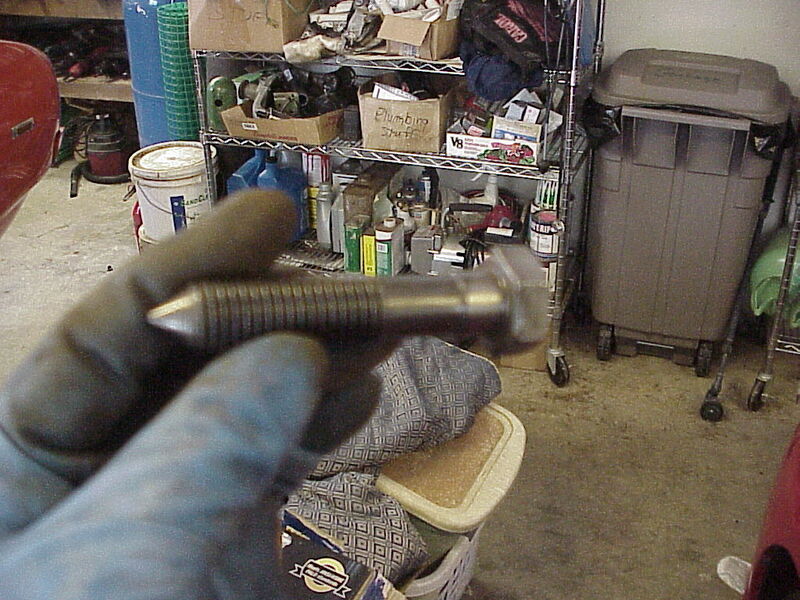 This is the rear bolt, the first one I removed, after a quick clean-up. Sorry about the blur. Too bad it won't work with the new mounts. They're thicker on the bottom so these bolts will not thread-in deeply enough. And the vendor/maker(DSE) did NOT mention that fact! Grrr.